I really don’t like bulgarian split squats. Not to brag or anything… but I have some pretty impressive lower body strength. There’s nothing like a nice set of bulgarian’s to make me feel like a complete weakling. My poor booty… my poor quads… and by “poor” I obviously mean “lucky” (insert gratitude practice here) because even though they hurt, they are getting stronger! In a blender, add all dressing ingredients and blend well. 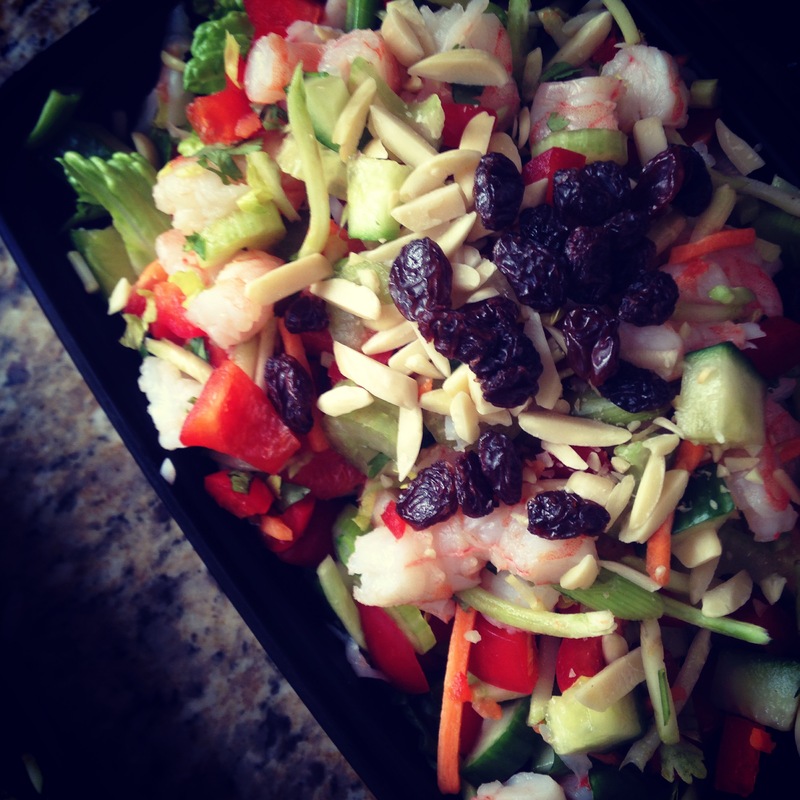 In a bowl, combine all salad ingredients, except for romaine, raisins, and almonds. Serve mixture over romaine and garnish with raisins and almonds.